Editor's Note: This post contains spoilers for the season 6 finale of "Parks and Recreation." "Parks and Recreation" has just shown every other TV show how a season finale's done. The April 24 episode was not only fun and funny way to spend 60 minutes, but it came with a surprising and welcomed twist. The season 6 closer brought out a parade of guests stars, from First Lady Michelle Obama to Jon Hamm, with a jovival, bon vivant attitude that wouldn't have been out of place in a series finale. But Amy Poehler's Leslie Knope isn't finished yet. At the end of the episode, "Parks and Rec" stunningly jumped ahead three years, showing that Leslie not only got the big National Park Service job without having to leave Pawnee, and the family to go with it. While it may come across as the perfect way to end a series, TV critics are looking at the move as a smart way to shake things up for season 7. "In a way, this episode was 'Parks" way of having everything it wanted," said Time magazine's James Poniewozik. "It recognized that it couldn’t keep Leslie and the Parks Dept. gang together any longer in the same scenario, playing on the same field and hitting the same beats, but it kept them together in a way that, excitingly, means that the seventh (and probably final) season will be a very different thing." "For the first time in a long time, 'Parks And Recreation' feels unshackled from its formula, and we can’t say what’s going to happen next," agreed the A.V. Club's Alasdair Wilkins. "The potentially drastic shift in circumstances for its characters and the freedom that comes from the knowledge that next year is probably the end means that the show has a real chance to push forward, instead of just retracing the same few story beats." 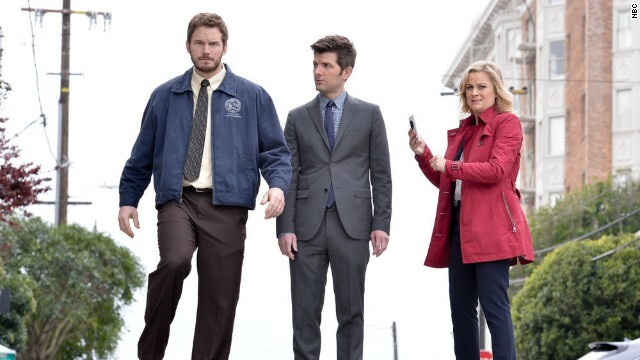 While co-creator and executive producer Mike Schur is hesitant to say exactly how the seventh season will pick up with the time jump, he swears this isn't some sort of prank. "We are not teasing something that we are not going to then pay off," Schur told Entertainment Weekly. "The majority of the season is going to take place in that time period, and that is allowing for certainly the possibility of episodes that fill in certain gaps that go back in time a little bit ... we’ve established this as a possibility. But we’re not going to see Leslie pregnant for the whole year, we’re not going to see her give birth. The whole season is not going to be about filling in those gaps — the main action of the season will take place in that slightly future-scape. We may go back and see a couple of things here and there of what happened in the interim, but we’re not faking you out. This is a real shift for the show in terms of when it takes place."